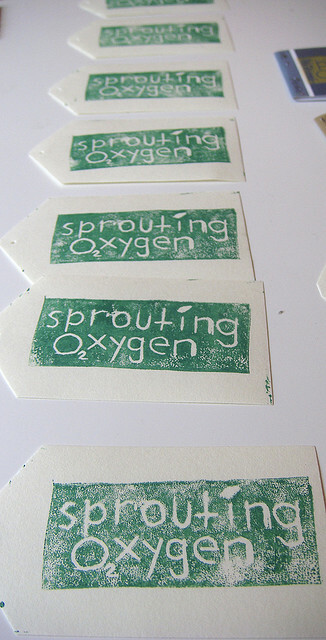 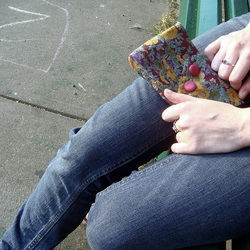 From 2007 to 2010 I founded Sprouting Oxygen, a small handmade one woman show. 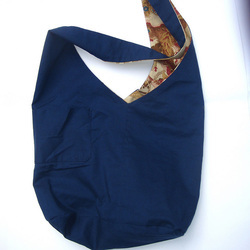 So2 focused on collecting forgotten items and bringing them back to life, helping to rid the world of a little waste and spend my summers sewing at the same time. Currently, I'm finding my schedule too hectic to maintain this business, but normally all items are sold via etsy, here at Sprouting Oxygen. There are two main lines of products produced by So2: Hand bound books and bags. 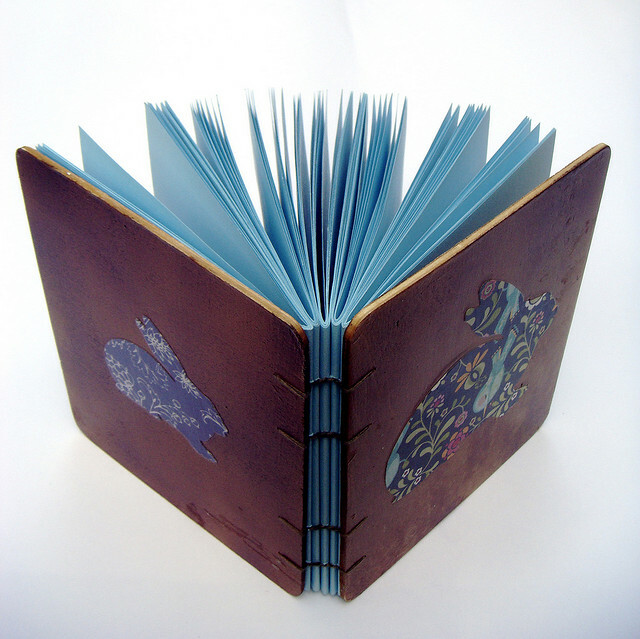 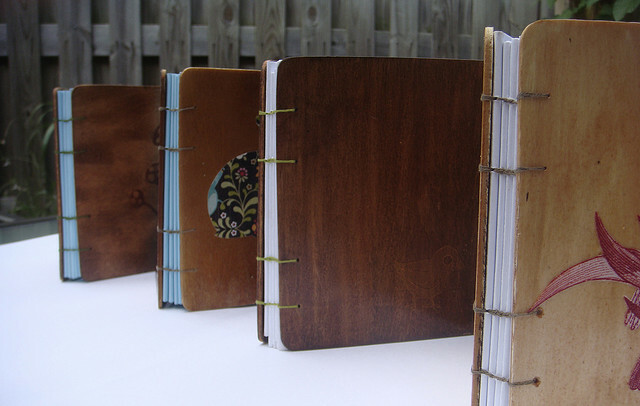 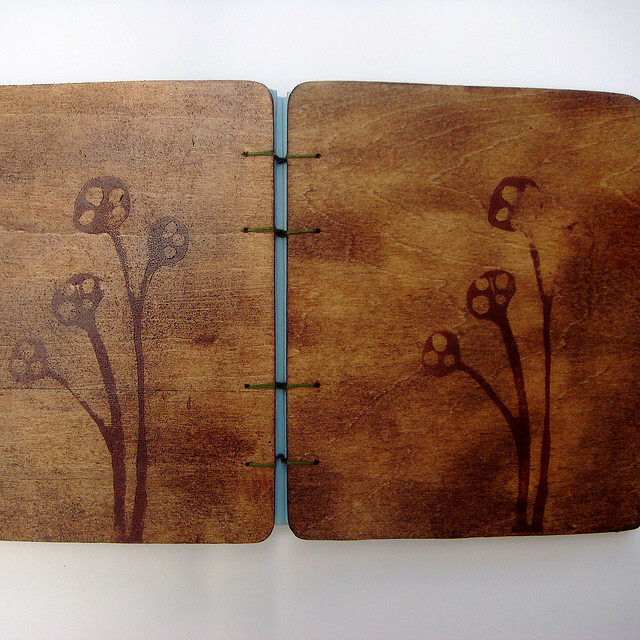 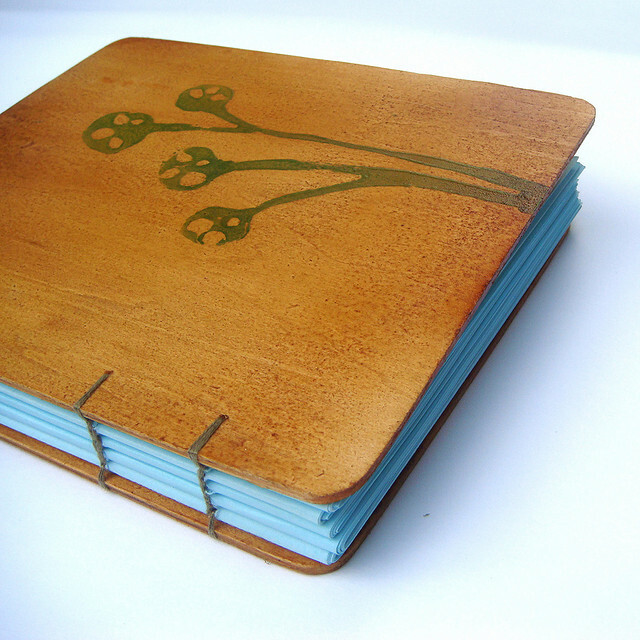 Books are created with wooden covers, many of them with original printed images. 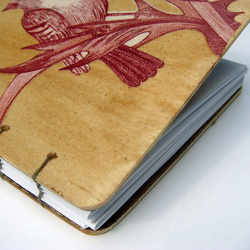 Pages are bound using Coptic stitching. 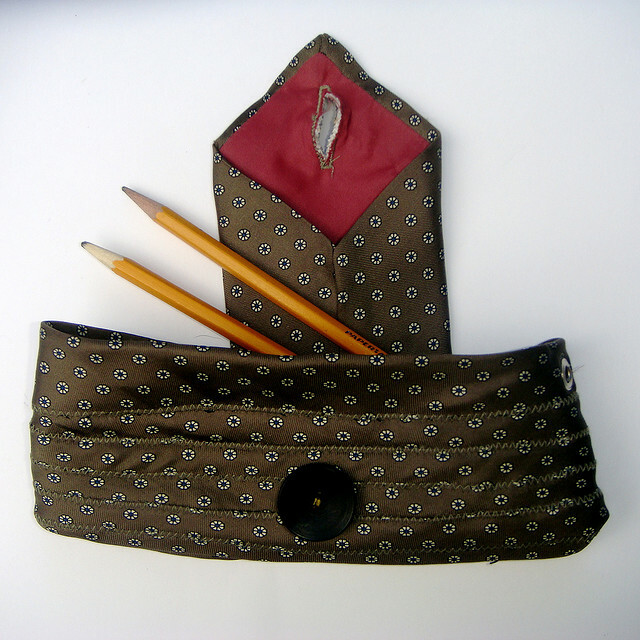 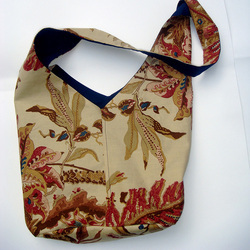 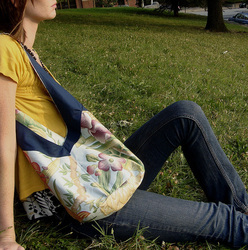 Bags are created with up-cycled fabrics. 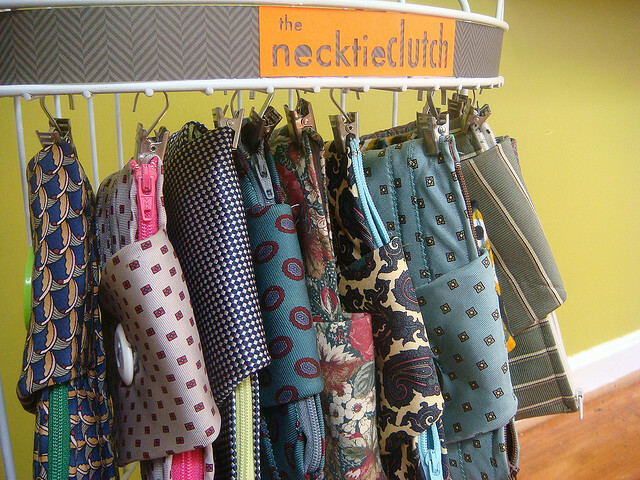 Larger bags are reversible and closed with buttons; Smaller clutches are made using single neckties, wound and stitched to create a pouch. 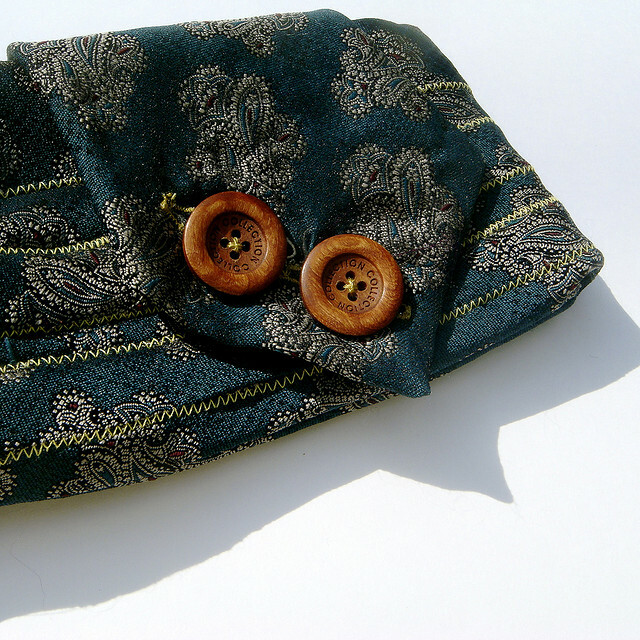 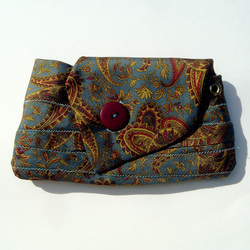 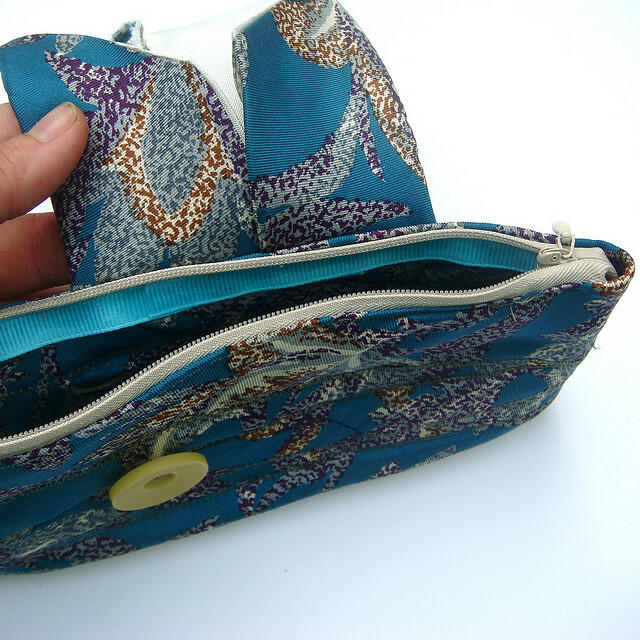 Clutches are finished with zippers and buttons. Visit our feature in B'More Green, an affiliate of the Baltimore Sun.